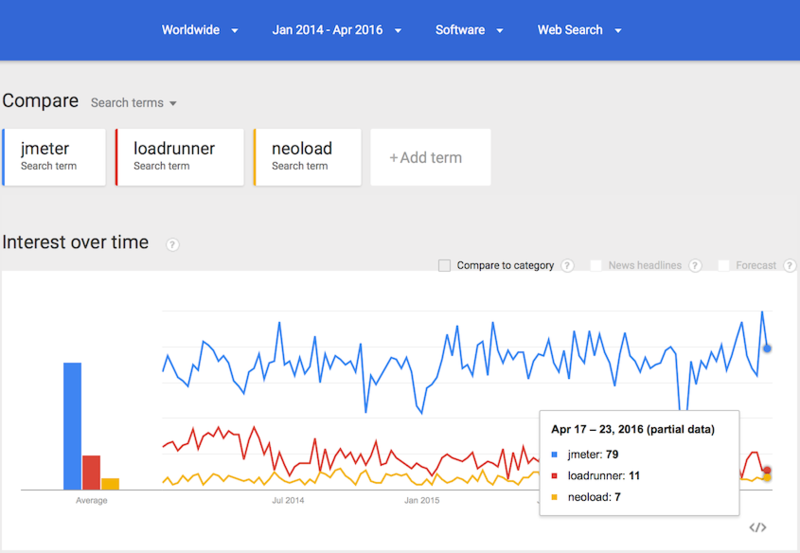 Few months ago we wrote a blog on Why Apache JMeter and Ubik Load Pack is your best load testing tool option . Since then, a lot of things happened in the Load Testing world and the JMeter eco-system which make this quote even more true. With DevOps movement and the increasing popularity of Continuous Integration and Continuous Deployment, Load Testing has become a key player. You cannot imagine nowadays deploying a new version in Production without integrating Load Testing in the pipeline. This means that you must run more and more frequent load testing on your projects to ensure time to market is met in correct quality conditions and no outages. This is where Apache JMeter comes into play knowing it is free, almost freely available in the Cloud and easily integrated in your continuous integration pipeline. For more information on CI/CD, you can read our blog on integrating JMeter in your build process with Maven. You will easily find on the net a lot of blogs, videos on this subject to see all the activities going around it. 15 dynamic, zoomable graphs showing throughput, response times, errors code …. The improvements made on Browser simulation of Downloaded Resources (CSS, JS, Images) which makes JMeter much more realistic in this field and much more scalable. This work has been contributed by Benoit Wiart and Philippe Mouawad, 2 members of our support Team. The Core team and the community has also done a great job to improve many fields of JMeter,Apache JMeter 3.0 has a lot of awesome new features plus tens of bug fixes that you can discover here. This version is the beginning of a new Era. To convince you it is worth considering switching your load testing to Apache JMeter and UbikLoadPack (for more protocols support and new features sponsoring) , read this comparison some Major actors. Although not the most important factor, it is an interesting factor to look at, so we used Google Trends restricted to January 2014 to April 2016. It is interesting to see that JMeter popularity is very high (compared to other tools) and increases in the Programming category which makes it an important actor in the DevOps movement. 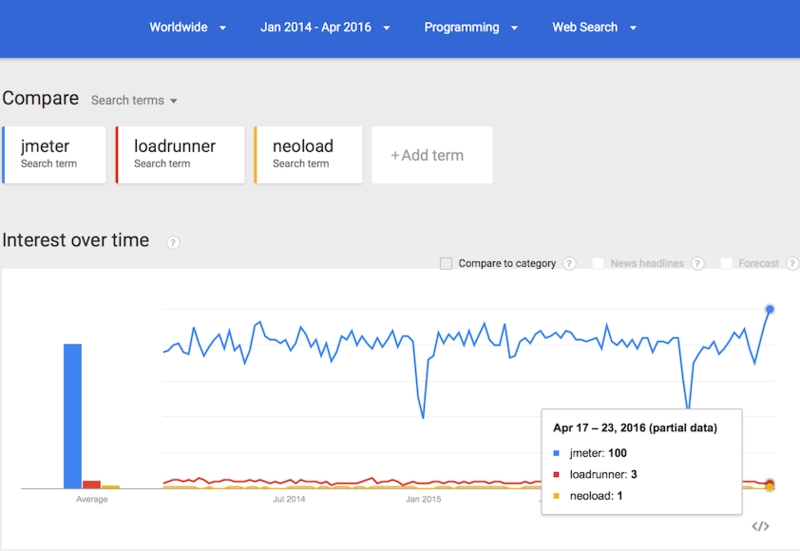 As you can see Apache JMeter is no more a tool to “play” or to use only for limited and simple load testing. It has grown up into a mature, professional tool, used by major organizations for complex load testing use cases. Furthermore it is available on the Cloud at ultra competitive pricing. On the protocols side, UbikLoadPack provides important additions to it and this will keep growing. 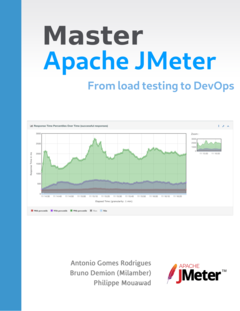 As a major contributor of JMeter, we also provide training and consulting around Load Testing and if you want to sponsor features you want to add to it, or have some custom protocols you can contact us.